A remarkable new voice in American fiction enchants readers with a moving and uplifting novel that celebrates the miracle of life. 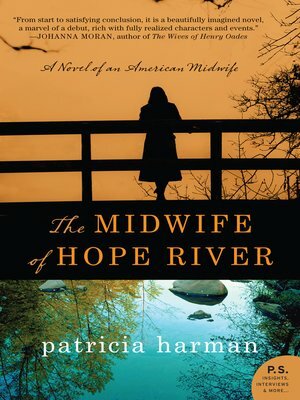 In The Midwife of Hope River, first-time novelist Patricia Harmon transports us to poverty stricken Appalachia during the Great Depression years of the 1930s and introduces us to a truly unforgettable heroine. Patience Murphy, a midwife struggling against disease, poverty, and prejudice—and her own haunting past—is a strong and endearing character that fans of the books of Ami McKay and Diane Chamberlain will take into their hearts, as she courageously attempts to bring new light, and life, into an otherwise cruel world.